^My first published digitally-sketched comic strip. You want to know what I’ve been doing in my coffice the past week? I’ll tell you: I’ve been practicing on digital sketching. 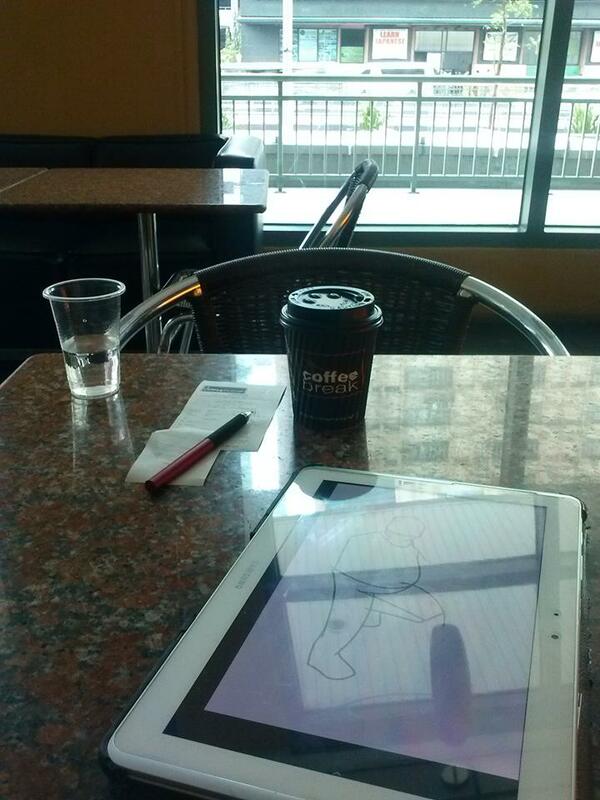 My friend Nels introduced me to Artflow, the Android app that finally allows for on-the-go digital sketching. Before Artflow, tablet graphic apps couldn’t approximate pen drawings. I’ve always felt that digital sketching was the way to go in this day and age. It would remove the need to scan pen and paper drawings, a time-intensive step. While devices such as Wacom are regularly used for digital sketching, they are expensive and require you to work in front of your desktop. I already know I am much more productive in cafes. I also know it would be a matter of time before the technology allows for mobile digital illustrations. Apparently, that time is now.